Based on 451 customer ratings. 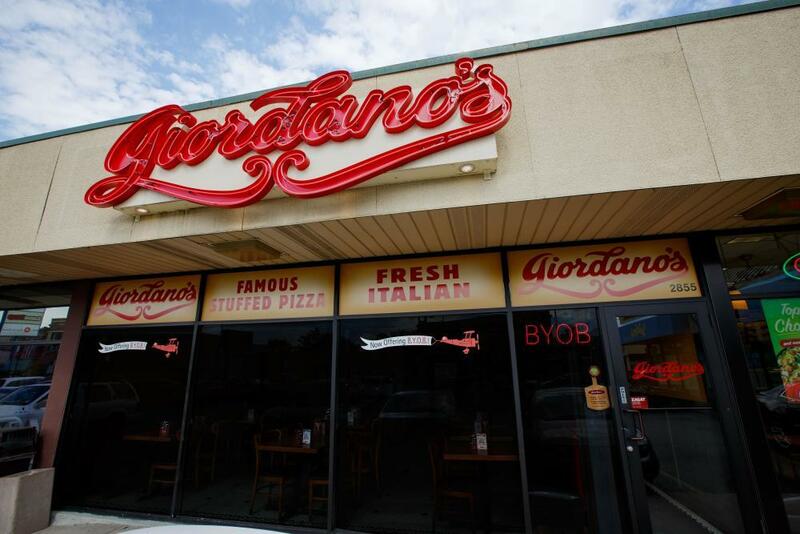 Whether you’re heading out to the Logan Theatre or just placing an order for pickup from the office, Giordano’s is Logan Square’s favorite pizza place. Take one bite of Giordano’s and you’ll see why we’re the best pizza place in town. Order delivery, or visit our Logan Square location for pickup. Did you know the best pizza place in Chicago has a takeout and delivery location right here in Logan Square? Giordano’s, home of the best deep dish pizza in town, is ready to deliver the mouthwatering stuffed pie of your choice to wherever you are. From Fireman’s Park to the Animal Hospital, everyone knows Giordano’s. We’re the old-world pizza tradition that Chicago natives love best! Every Pizza Is Handcrafted With Care It takes 6 trained craftsmen to construct one Giordano’s stuffed double crust pizza pie. Our techniques reflect our proud Italian heritage, and our ingredients are the best in the business. With Wisconsin mozzarella that’s made especially for us, the ripest and freshest fillings and toppings, and a crust we slow bake to flaky perfection, it’s easy to see why we’ve been the best Chicago-style pizza in town for over 40 years. Don’t forget to check out the dishes on our full menu! We have crisp salads, savory appetizers, specialty Italian sandwiches and savory pastas you’ll love. Going gluten-free? Just ask!